Global plastic production is increasing exponentially, accompanied by the accumulation of plastic debris in our seas. Debris affects marine animals, shipping routes and tourism and is increasingly regarded as a threat to marine ecosystems. But where does the debris exactly come from, how is it composed and what can we do against it? 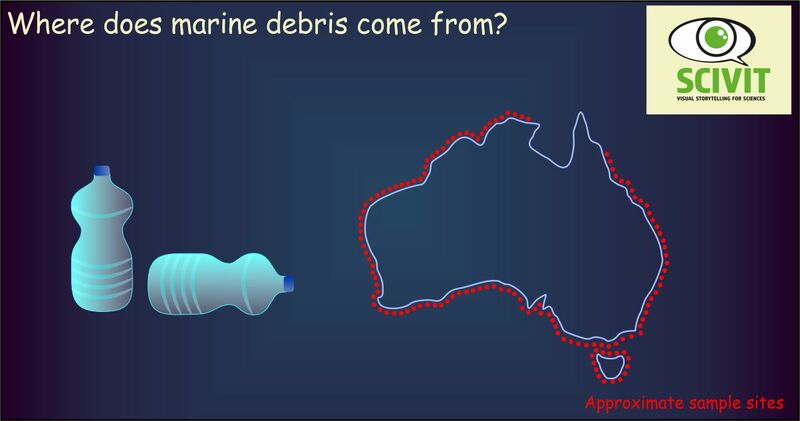 A systematic study in Australia looked at quantities and composition of debris on Australian beaches. Debris was monitored at 175 coastal sites about 100 km apart from each other. Debris accumulation could be either explained by high local populations or by unfavourable marine surface currents. 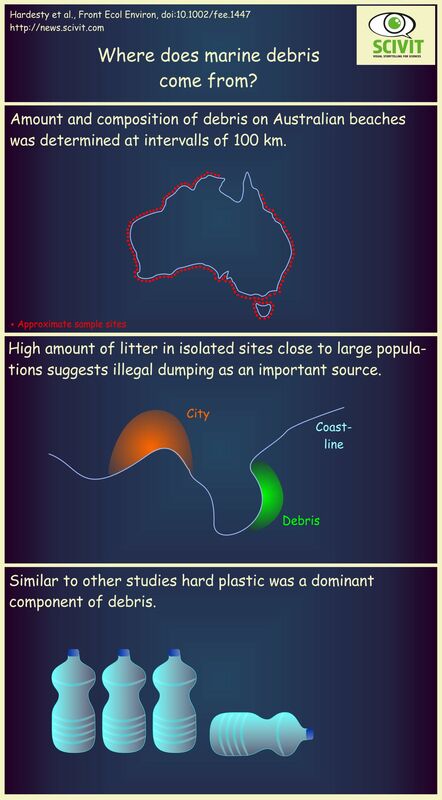 In the case of large local populations, debris was particularly high in relatively isolated sites, suggesting illegal dumping as a major source. Beverage containers constituted an important component of marine debris; commercial and recreational fishing also was an important contributor.